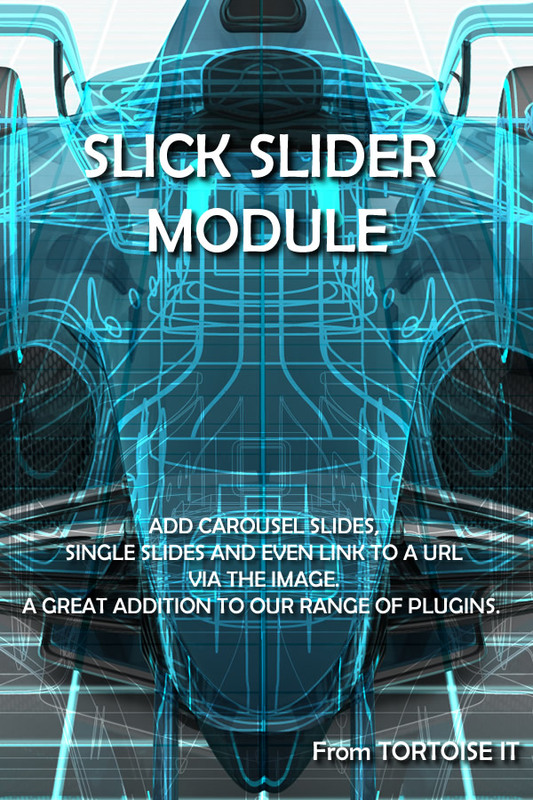 The Slick Slider/Carousel Module from Tortoise IT adds a number of powerful Carousel modules to your Divi Builder installation for either Divi or Extra themes. These are a manual carousel, WooCommerce image gallery and Easy Digital Downloads Featured Products. The modules have built in responsiveness so no need to worry about display issues across devices and its easy to use. 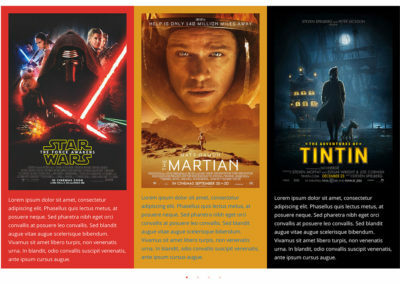 You can even use it as a full width slider on its own – or with multiple slides. An excellent and lightweight module. Thoughts and comments all welcome! This is the main and original use of the plugin. 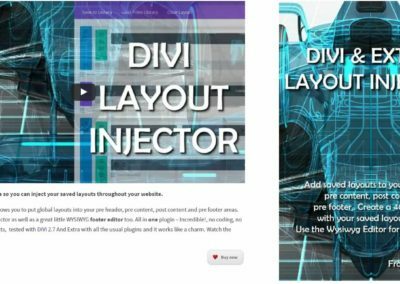 This allows you to add a carousel or slider with many layout options from full width, 50/50, 75/25, 25/75 on content and image. 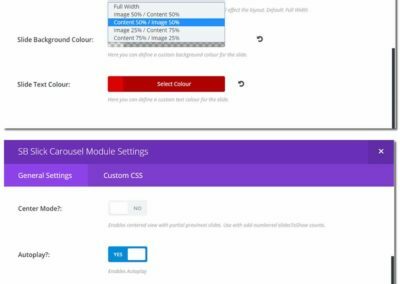 Because it is a module, it performs exactly as other modules so you can adjust section fonts, sizes, padding, margins and colours. 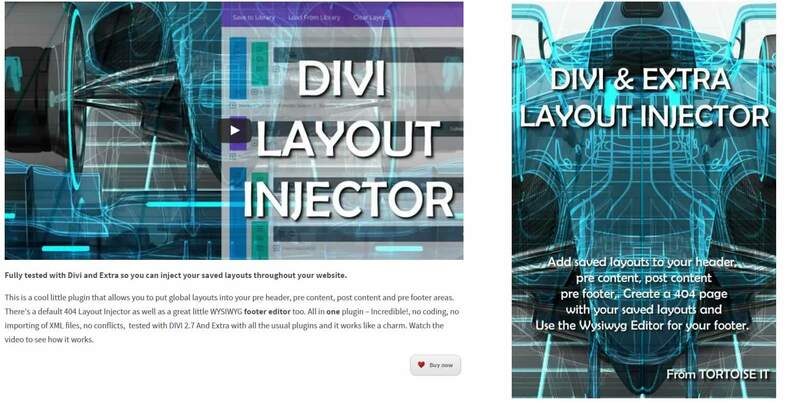 You can link straight from the slider image (a much asked for development) or text and, of course, if you want to add a button or call to action in the text, you can do that using the inbuilt Divi buttons or any button code you choose! This allows you to set up an automatic carousel of posts.. in fact any post type combined with any taxonomy/term combination. To make this even more flexible, the carousel uses a page builder layout which it repeats for each post it iterates over. Essentially set up a layout for image, content, title.. anything at all.. then in the post carousel you can select that same layout along with the carousel options for size, speed, etc.. This makes the module very versatile indeed! 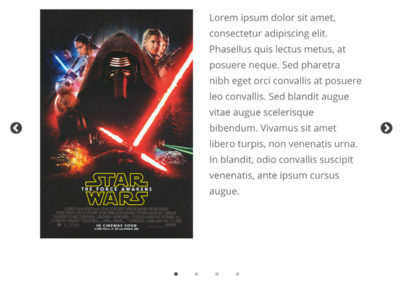 Now with support for WooCommerce gallery items! 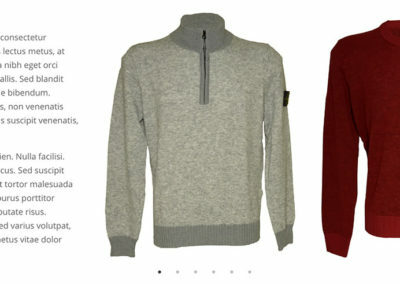 When used on a WooCommerce product page (via Woo Layout Injector or similar) it will allow you to show a Slick slider/carousel containing the product gallery images. What better way to present your product images than in a carousel. One sweet feature of this new module is that you can set up a layout using a carousel below a normal product image module (given a class name) which, when clicked, will replace the product image and it’s own clickable link. Very neat indeed! As seen on the homepage of elegantmarketplace.com, this module will show an automatic carousel containing links to your store featured products. A very effective and simple to set up module for sites using Easy Digital Downloads for their shopping cart functionality. The filter ‘sb_divi_module_slick_js_init’ has been added exposing the entire slick JS init array for editing. Just add your own filter and edit before returning and it will change the output. 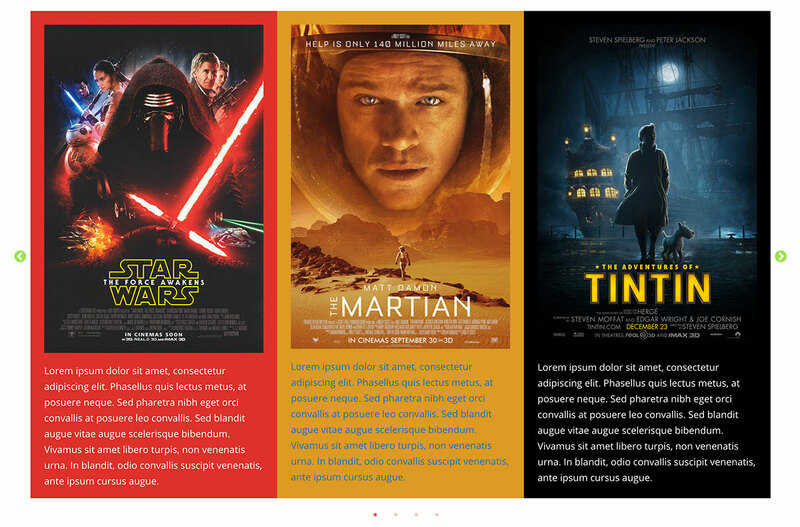 Based on the ‘Slick’ jQuery Carousel plugin and converted for use in Divi/Extra (divi builder based sites). Live demos of the original jQuery module can be seen here.